Beautifully detailed in traditional western bright cut engraving, the raised dome adds a rich depth to your work. Sunburst trim features a smooth berries on a scalloped edge. This small, 1 inch diameter piece comes with a standard wood screw, 1.5 inch length. Beautifully detailed in traditional western bright cut engraving, the raised dome adds a rich depth to your work. Sunburst trim features a smooth berries on a scalloped edge. This small, 5/8 inch diameter piece comes with a standard bit end post and screw with a 3/8 inch length. 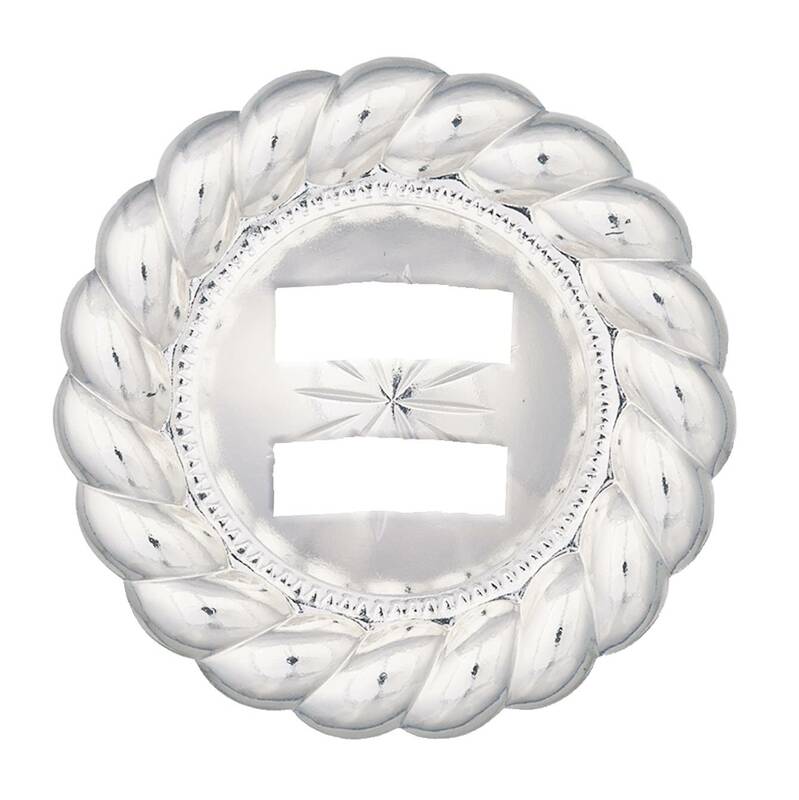 Highly polished silver with careful details add a splash, a flash of rich shine to your work. The bright silver concho features a thick twisted rope edge around a slightly domed center accented with an etched starburst in the center. This large 1 1/2 inch diameter concho comes with two 3/4 inch slots for sliding on straps. 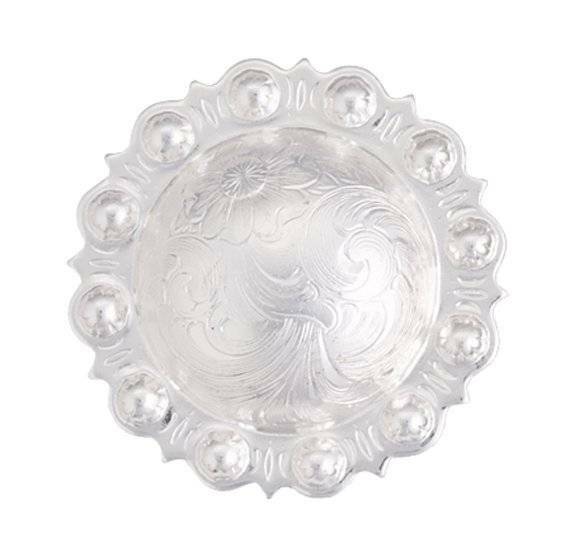 Highly polished silver with careful details add a splash, a flash of rich shine to your work. 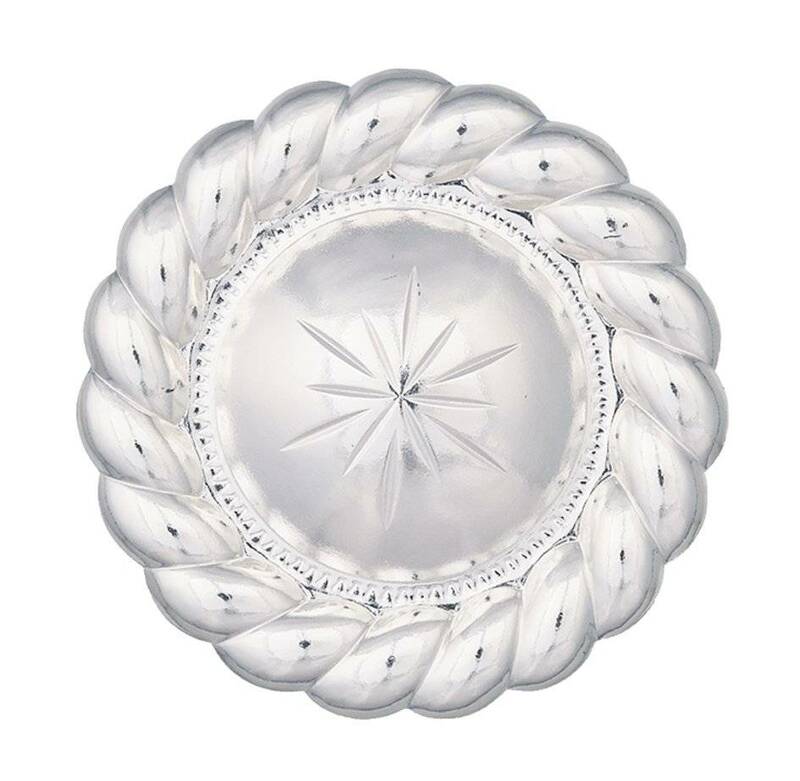 The bright silver concho features a thick twisted rope edge around a slightly domed center accented with an etched starburst in the center. This large sized 1 1/2 inch diameter concho comes with a standard bridle loop back, fits 3/4″ strap. Beautifully detailed in traditional western bright cut engraving, the raised dome adds a rich depth to your work. Sunburst trim features a smooth berries on a scalloped edge. This large 1.5 inch diameter concho comes with two 3/4 inch slots for sliding on straps. 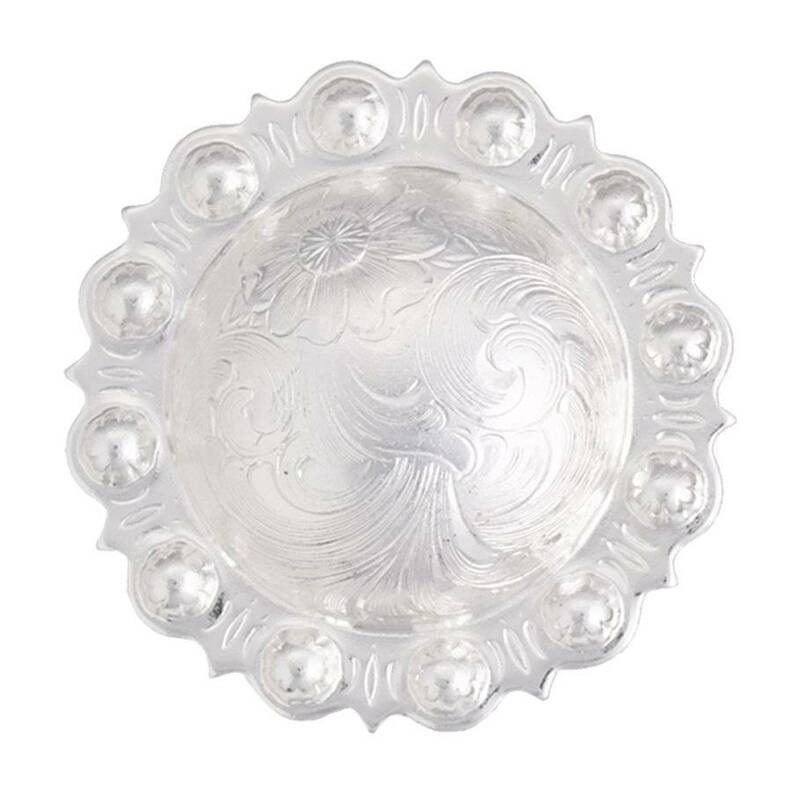 Designed to match many other pieces, the silver concho is fully engraved in traditional western bright cut style with a clear edge trim. The brightly polished silver adds a beautifully rich sparkle to your leatherwork, and has a nice solid feel. 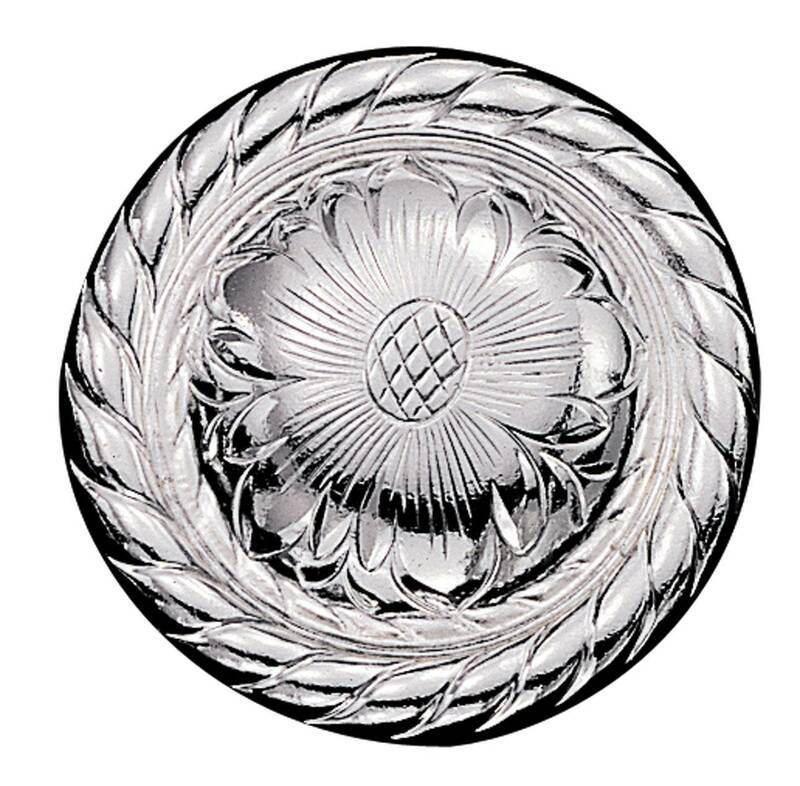 This medium-sized 1″ inch diameter concho comes with a standard wood screw, 1 1/4 inch length. 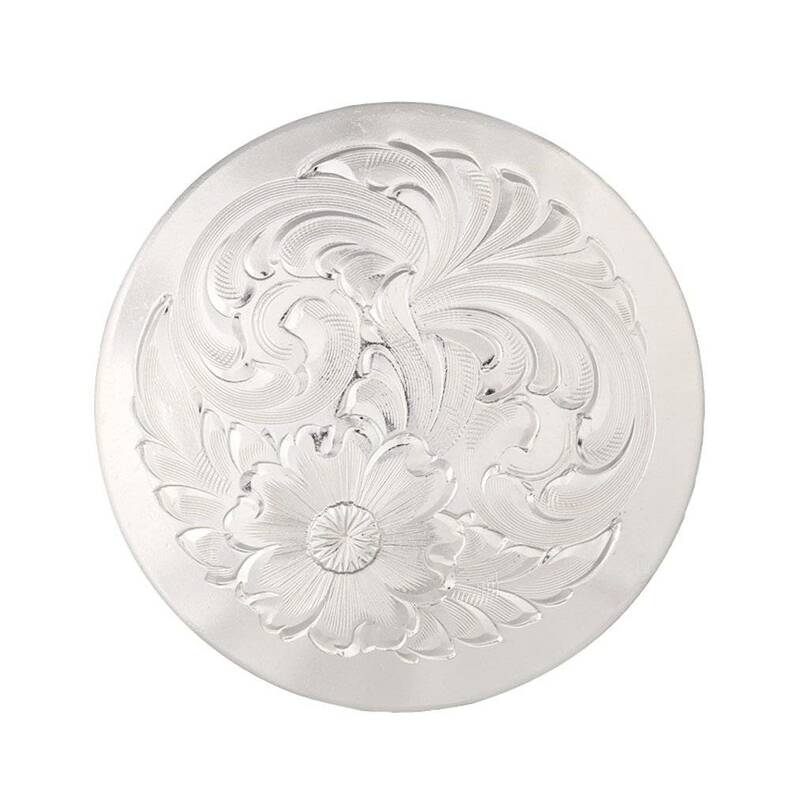 Sheridan style engraved bright silver concho features a thick twisted rope edge around a beautifully engraved flower over a domed center. 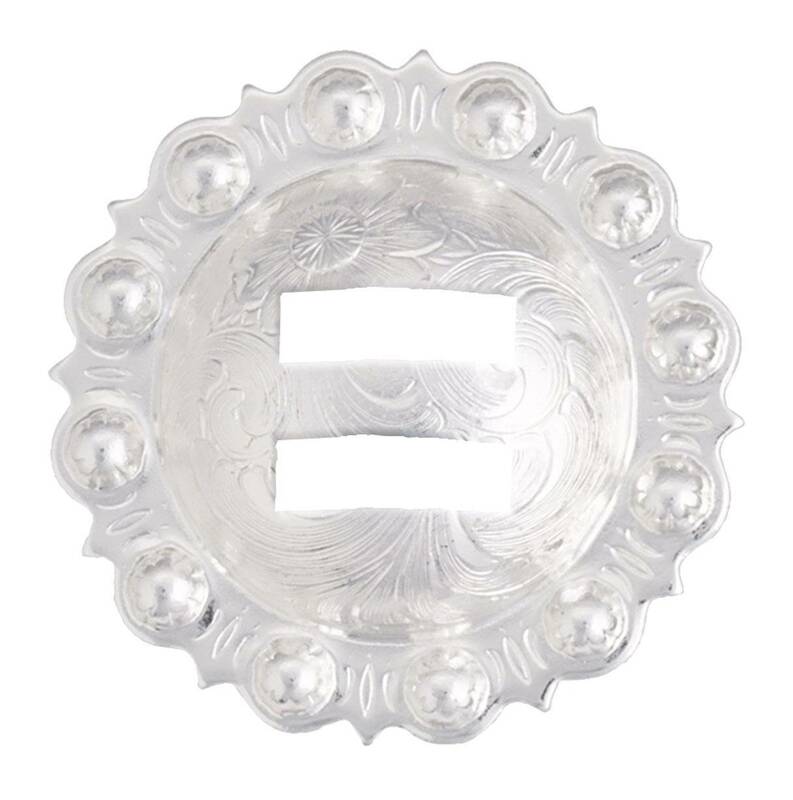 This large sized 1 1/2 inch diameter concho comes with a standard wood screw, 1 1/4″ inch length.